It doesn’t seem long ago that we were able to do long evening runs in shorts! At this time of year it can be a struggle to get out of bed (or stay awake in the evenings!) let alone think about running. Here’s how to overcome practical problems runners face in Winter. If the thought of running in the cold and dark makes you feel like hibernating, switch up your thought process. Think like a year-round athlete with long-term plans. Because the truth is, Winter is a key training period for runners. So don’t think of Winter running as a challenging and less-important version of Summer running. Embrace it for what it really is: a key training block, time to build strength and endurance, and the foundations of your Spring races and events. 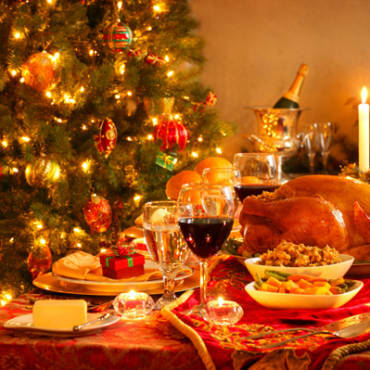 As a runner, you possess a powerful tool for fighting the festive weight gain. Keep running over Winter and you’ll stay slimmer whilst other people are feeling their clothes get tighter. Stay on top of your running routine at this time of year, and you’ll also feel happier and more in control around festive food and drink. You know you’re doing something positive for your health, emotional wellbeing, and waistline. The risk of injury is higher from running in the dark, and on potentially slippery pavements. Does your footwear need an upgrade for Winter? Remember that your running shoes should be replaced every 500 miles or so anyway. If you will be running off road or on icy surfaces this Winter, choose a new pair of shoes which offers the grip and stability you need to stay safe. Cold weather can be one of the biggest barriers to enjoying Winter running. So don’t make life more difficult than it needs to be. Kit yourself out with gloves, socks, hat, base layers, and whatever else you need to feel comfortable. Don’t dread the idea of going out to run! Winter running can be tough on your joints and muscles. The cold can make you tense up, leading to aches and pains. There’s plenty you can do to combat this problem. 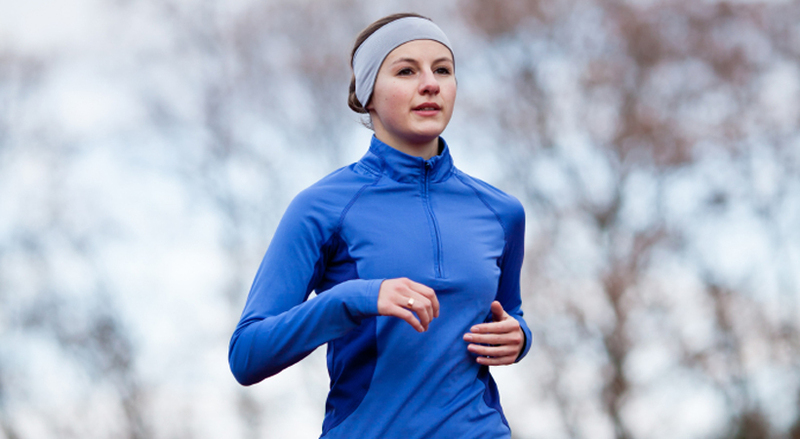 Kt yourself out with cold-weather running gear, so you can relax and run with proper form. And spend more time getting warm and comfortable after your run. Get out of your running kit straight away, have a warm shower, massage any sore muscles, and dress in comfy warm clothing. If you let yourself get too hungry, the idea of running in the cold and dark will hardly be appealing. So make the most of home cooking to fuel up and recover from Winter running. This is a great time of year to make use of slow cookers/crock pots. Batch cook healthy meals so you always have something nourishing to hand even on busy week days. Include foods which naturally reduce inflammation: brightly coloured vegetables, oily fish, and spices like turmeric and ginger. Our final tip sounds simple, but is key if you want to keep running at challenging times of the year. Remember why you do this. What was your reason for running? Why do you love it? How do you feel when you have a great run, and how does “being a runner” make you feel? Just lace up your trainers and get out the door. Keep the positive spiral of regular training runs going and stay on track.